Rayo Vallecano has over 2.5 goals in their last 3 games in La Liga. Espanyol has under 2.5 goals in their last 3 games in La Liga. Rayo Vallecano scored in last 22 home games in La Liga. Rayo Vallecano scored in last 5 games in La Liga. Espanyol allowed opponents to score over 1.5 goals in last 3 games in La Liga. Hertha has over 2.5 goals in their last 4 games in Bundesliga. Bayern Munich has under 2.5 goals in their last 4 games in Bundesliga. Hertha won their last 4 home games in Bundesliga. Hertha scored in last 12 games in Bundesliga. Hertha scored in last 4 home games in Bundesliga. Saint Etienne has over 2.5 goals in their last 5 games in Ligue 1. Monaco has under 2.5 goals in their last 3 games in Ligue 1. Saint Etienne won their last 3 games in Ligue 1. Monaco scored in last 10 away games in Ligue 1. Saint Etienne scored in last 3 games in Ligue 1. Santos has under 2.5 goals in their last 4 home games in Serie A (Brazil). Vasco da Gama lost their last 3 away games in Serie A (Brazil). Santos ended draw their last 3 home games in Serie A (Brazil). Santos didn’t score in last 3 home games in Serie A (Brazil). Vasco da Gama allowed opponents to score over 1.5 goals in last 3 games in Serie A (Brazil). Randers has over 2.5 goals in their last 4 away games in Superligaen. Vejle scored in last 3 games in Superligaen. Randers scored in last 3 away games in Superligaen. Randers scored in last 5 games in Superligaen. When Randers FC leads 0-1 away, they win in 71% of their matches in Superligaen. Bristol City scored in last 5 games in Championship. Aston Villa scored in last 4 games in Championship. Sheffield Wednesday has over 2.5 goals in their last 4 games in Championship. Sheffield Wednesday scored in last 4 games in Championship. Leeds United scored in last 10 away games in Championship. Leeds United scored in last 3 games in Championship. Lens scored over 1.5 goals in last 3 home games in Ligue 2. Paris FC allowed opponents to score over 1.5 goals in last 3 games in Ligue 2. Orleans won their last 3 home games in Ligue 2. Valenciennes has over 2.5 goals in their last 3 games in Ligue 2. AC Ajaccio has under 2.5 goals in their last 5 games in Ligue 2. AC Ajaccio didn’t score in last 3 home games in Ligue 2. Red Star has over 2.5 goals in their last 3 games in Ligue 2. Red Star lost their last 3 games in Ligue 2. Grenoble Foot lost their last 3 away games in Ligue 2. Lens scored in last 3 home games in Ligue 2. Orleans scored in last 7 games in Ligue 2. Orleans scored in last 3 home games in Ligue 2. AC Ajaccio has under 2.5 goals in their last 3 home games in Ligue 2. Valenciennes scored in last 3 away games in Ligue 2. Orleans scored over 1.5 goals in last 3 home games in Ligue 2. Lorient allowed opponents to score over 1.5 goals in last 10 away games in Ligue 2. 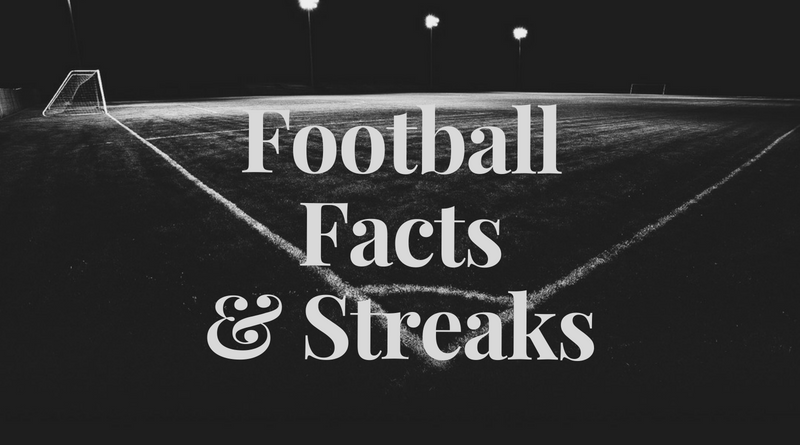 Crotone scored in last 4 home games in Serie B.
Brescia scored in last 8 games in Serie B.
Crotone has over 2.5 goals in their last 4 home games in Serie B.
Crotone scored in last 4 games in Serie B.
Brescia scored in last 3 away games in Serie B.
Porto has under 2.5 goals in their last 3 games in Liga NOS. Porto scored in last 6 home games in Liga NOS. Porto scored in last 9 games in Liga NOS. Porto allowed opponents to score over 1.5 goals in last 4 games in Liga NOS. Galatasaray has over 2.5 goals in their last 6 games in Super Lig. Galatasaray has over 2.5 goals in their last 4 home games in Super Lig. Buyuksehir Belediye Erzurumspor has under 2.5 goals in their last 3 games in Super Lig. Galatasaray won their last 19 home games in Super Lig. Galatasaray scored in last 19 home games in Super Lig.